Dino Melaye has said that the All Progressives Congress (APC) will lose power in 2019. The Senator, in a video posted on Twitter by @royaltyuso, was speaking as the PDP signed a memorandum with 30 other political parties to sack the APC from the center in 2019. Melaye, who said he was speaking as an oracle of God, added that President Buhari is entitled to failure in 2019. 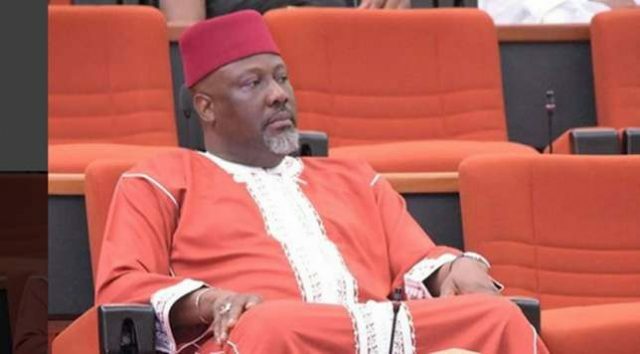 Following his public declaration, the Kogi state chapter of the Peoples Democratic Party (PDP) issued a statement describing Senator Melaye as a liability. The chairman of the PDP Kogi West Elders Forum (KWEF), Hon. Shaibu Momoh, in the statement, said the lawmaker is a controversial person who needs reformation. “He is seen as too controversial and his unacceptable behaviors are the serious negative views of the public against him. “He cannot win any election in a free and fair atmosphere and PDP should therefore not gamble with him as a candidate for now. “He needs a serious reformation period which PDP Kogi state do not have the luxury of time to dispense,” Momoh added.